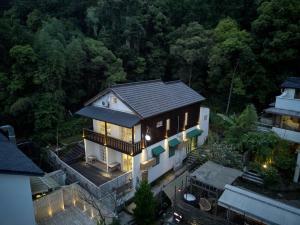 Located along on Tianzhu Road, Fullmoon Hostel is surrounded by lush mountains and offers cosy accommodation for visitors. A Japanese rock garden is featured. Guests who drive can use the off-site parking service and enjoy free WiFi throughout the property. 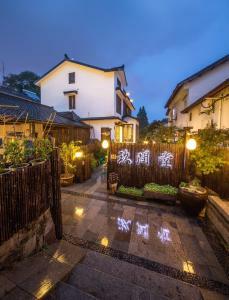 Fullmoon Hostel is a 5-minute walk from Fajing Temple, while Lingyin Temple is just steps away. It takes 50 minutes to drive from Hangzhou Xiaoshan International Airport. Offering air conditioning, all guest rooms are fitted with wooden furniture. Some rooms have wall paintings and a balcony with nature views. The private bathroom comes with shower facilities and free toiletries. In Fullmoon Hostel, free snacks are available at the snack bar. Guests can also enjoy the breakfast in the room or in-house restaurant. Hostel staff are glad to offer accommodation service and provide travel information at the tour desk. 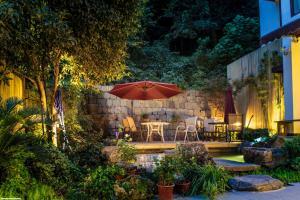 Guests can always relax themselves in the outdoor Japanese rock garden. When would you like to stay at Fullmoon Hostel ? This suite has air conditioning, garden view and electric kettle. Payment before arrival via bank transfer is required. The property will contact you after you book to provide instructions. Please inform Fullmoon Hostel in advance of your expected arrival time. You can use the Special Requests box when booking, or contact the property directly with the contact details provided in your confirmation. Each day we'll check prices and send you an email for your selected dates at Fullmoon Hostel. If you don't have specific dates but would like to check prices for say next weekend or say next month we can check the price too. Click to write a review and share your experience of Fullmoon Hostel with other travellers.